The other honorees are comics stories in the guise of picture books and other formats, the likes of which we’ve seen in publishing for over 50 years, from amazingly gifted cartoonists like Mo Willems who intuitively understand that telling a story through sequential art has a lot of advantages, especially for kids in the picture book audience. Kids who “read” the sequential art in a picture book develop supercharged reading comprehension skills and can learn to read written words that much quicker from all the extra visual support and scaffolding. Willems has been doing this for years, and it’s nice to see just-as-talented storytellers like Kate DiCamillo and Mary Sullivan join the ranks. 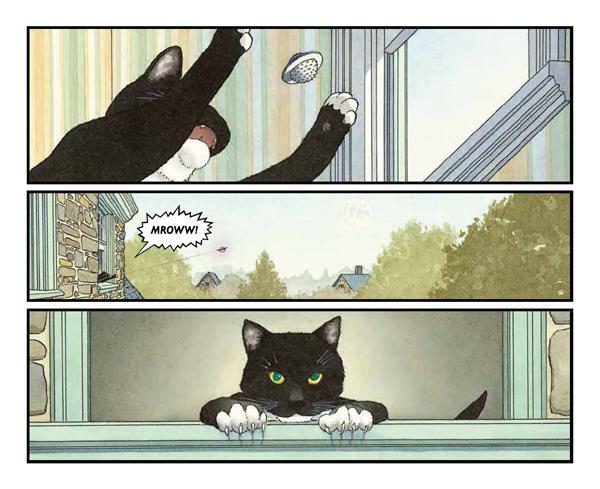 And I have to make special mention of David Wiesner’s Mr. Wuffles, which was by far the best comic I read all year for any age group in any genre. I haven’t looked at my cats or my radiator covers the same ever since. 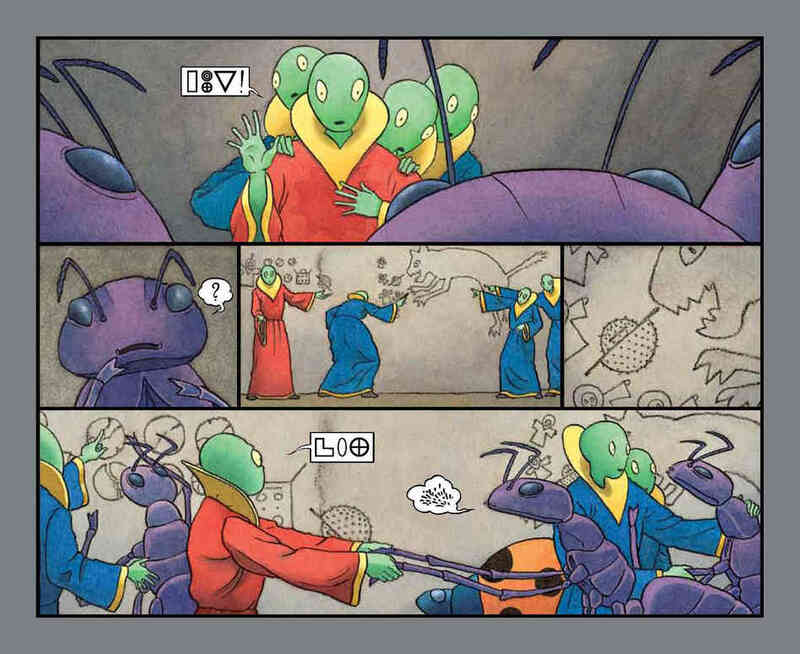 The ongoing discussions about adding a graphic novel category or separate graphic novel award to the ALA’s roster are fine and worthwhile, but I kind of prefer this approach. Further separating comics from the rest of the reading experience is less valuable than inviting them to the party we’re already having. Let a comic win the Caldecott (though good luck finding another one as good as Mr. Wuffles anytime soon!). If we keep doing that, more librarians will discover comics and purchase them, which will reinforce the business need for publishers to produce them, which will create more of a functional market for cartoonists, which will make for a shiny, happy, healthy industry for this most awesome of literary forms. Kudos to the ALA for the inclusion and to Reading With Pictures for taking the time to draw this distinction and recognize these examples of excellent comics art. And most of all, congratulations to the winners! This entry was posted in Comics, Libraries, Publishing and tagged American Library Association, Andrew Aydin, Books, Caldecott Award, Comics, David Wiesner, John Lewis, Kate DiCamillo, library, Lucy Knisley, Mary Sullivan, Mo Willems, Mr. Wuffles, Nate Powell, Newbery Award, Publishing, Reading With Pictures, Youth Media Awards. Bookmark the permalink.